A sign of the ongoing hostile feelings of Mexican drug gangs toward the DEA surfaced last week. Officials did not immediately comment on the message, the Daily News reported. The Daily News reported that the message was discovered the same day Mexican marines battled suspected members of the Zeta drug cartel, and killed 15 cartel suspects. Six marines were injured. 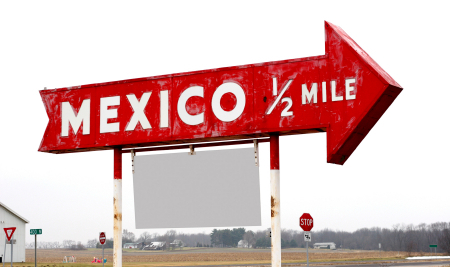 The Daily News reported that on Texas authorities over the weekend urged Americans not to cross into the Mexican border city of Nuevo Laredo because they had info the Zetas could be targeting Americans. “According to the information we have received, the Zetas are planning a possible surge in criminal activity, such as robberies, extortions, car-jackings and vehicle theft, specifically against U.S. citizens,” DPS Director Steven McCraw said in a statement, according to the Daily News. Posted: 7/5/11 at 10:29 AM under News Story.